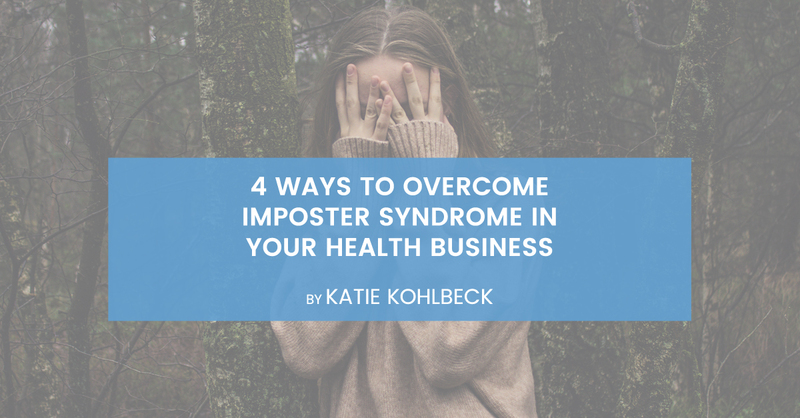 Today, you’ll find all kinds of articles that conclude that everybody experiences Imposter Syndrome while some argue that it’s not a syndrome or a phenomenon but simply humans trying to achieve their goals and contribute to the world. You’re not alone. This might be hard to believe when you’re in the throes of a particularly tough day but know that any person who is trying their best and putting good work into the world will at some point feel like they’re not good enough. It’s simply part of the human experience. Even those who appear confident have feelings of doubt. Connect with supportive friends, family and especially others in the community that you work in. You’ll likely discover that most everyone is familiar with the feeling of being a fraud. If you answered yes to those questions, then guess what? You’re not an imposter but rather a passionate person who cares deeply about what they do and doing it well. A bad day doesn’t make you an imposter. Let’s face it. Even those who absolutely love their job have bad days. Maybe your yoga class fell flat or a client left an appointment looking only somewhat satisfied with your service. Rather than blame yourself by default, consider that perhaps your yoga students were tired and as a result less responsive. Perhaps that client who just left has a lot on their mind. (Maybe they too are preoccupied with their own form of Imposter Syndrome!) Even if you are having an off day, know that this too is part of the journey of your career – and being human. Re-align with your focus and mission. Shift your perspective and turn Imposter Syndrome into motivation! In those times when you’re beginning to judge yourself, try to reconnect with your focus and goals. Take stock of your offerings and identify opportunities for change in strategy and direction. Perhaps you need to consider new organization and productivity tools. There are so many tools out there to help simplify aspects of your business like your website, social media, and accounting. Utilizing these solutions can be really helpful in eliminating administrative burden and bringing focus back to your passion for health and wellness. This blog post shares a ton of those tools. Even with these tips and reminders, you may never fully eradicate the feelings of Imposter Syndrome, and that’s OK. Remember to always maintain kindness and patience with yourself and just keep putting yourself out there, because Action Alleviates Anxiety.